Description: This little Moglin just couldn't decide what he wanted to be for Mogloween. Paladin? 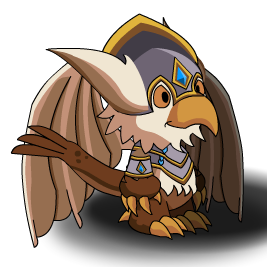 Gryphon? Why not both!